On gross examination, prostate cancer may be difficult to visualize. 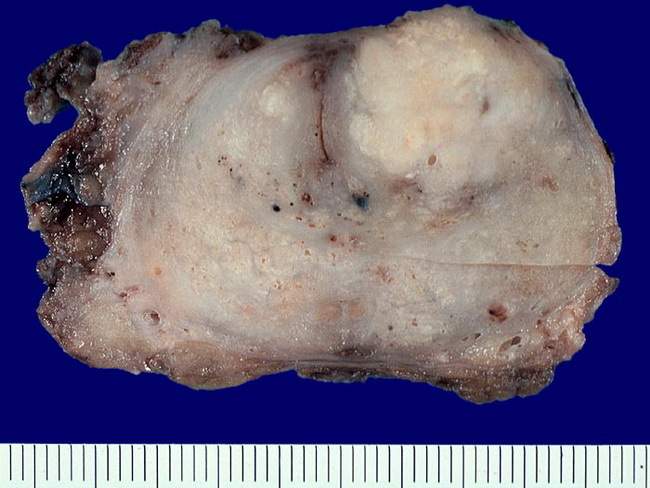 In some cases, the neoplastic areas are readily apparent as firm, gritty tissue (upper right part of the gland in this image). Additional smaller such foci are scattered throughout the gland.